Idai devastation clearer by the hour: UN - SABC News - Breaking news, special reports, world, business, sport coverage of all South African current events. Africa's news leader. Days after the storm made landfall in Mozambique, victims are reportedly trapped on roofs. The United Nations (UN) says the extent of the devastation caused by Cyclone Idai is becoming clearer and getting bigger by the hour. The storm, that ravaged large swathes of Zimbabwe, Mozambique and Malawi, found more than three million people in its path. Mozambique’s President says the death toll could exceed 1 000 in his country alone. If confirmed this could be the deadliest tropical cyclone to hit the southern Africa region. Five days after the storm made landfall in Mozambique, victims are reportedly trapped on roofs and clinging to trees awaiting rescue, as floodwaters continue to rise. “We are talking about a massive disaster right now where hundreds of thousands, in the millions, of people potentially affected. We need all the logistical support that we can possibly get. We need to have proper assessments. First of what exactly is needed, as we have heard that it is by air that we can reach people, and it is by water as well,” says Jens Laerke, of the Office for the Co-ordination of Humanitarian Affairs. 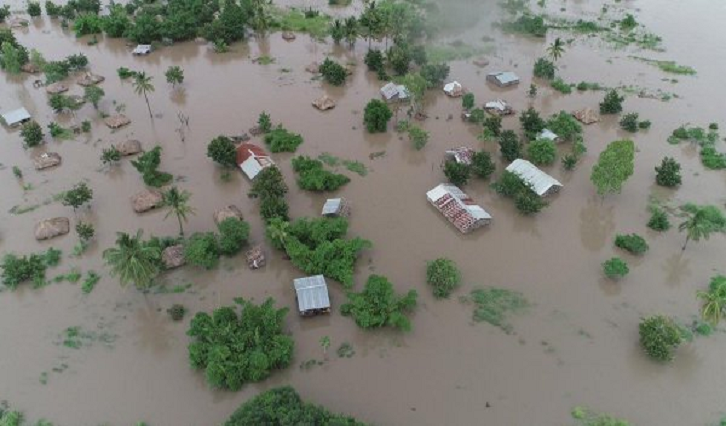 Storm surge has reached meters deep in some parts causing what humanitarian agencies have described as incredible devastation while some 260 000 children have been affected in Mozambique alone. Matthew Cochrane of the International Federation of the Red Cross and Red Crescent Societies followed by Christope Boulierac of the UN Children’s Fund. While floodwaters have reportedly begun to recede in Zimbabwe and Malawi, allowing some people to return home, the World Food Programme’s Herve Verhoosel warned that Mozambique is facing the greatest humanitarian emergency of the countries affected. Across the three nations, tens of thousands have lost their homes while roads, bridges and crops have been washed away. Heavy rain is continuing in some parts and more is forecast. “What we are seeing emerging from our informal networks and from the official databases is, if the fears, the worst fears are realised and – the Mozambique president is quoted as saying they are fearing more than 1 000 casualties – if these reports, these fears are realised, then we can say that it is one of the worst weather-related disasters, tropical-cyclone-related disasters in the southern hemisphere. We are not talking about the northern hemisphere. We are talking about the southern hemisphere,” says Claire Nullis of the World Meteorological Organisation. The World Health Organisation says their initial priority is to help those with crush and trauma injuries, but that the longer-term needs will include dealing with a potential rise in waterborne diseases like cholera and rebuilding many of the destroyed health centres in the region. This entry was posted on 19 Mar 2019,06:15PM at 6:15 PM and is filed under World. You can follow any responses to this entry through the RSS 2.0 feed. Both comments and pings are currently closed.